Some automakers pile on the incentives so you can drive home in a brand new car for a low lease payment. Oscar Mayer, purveyor of meat products, is doing one better to move its metal. One tweet could get you in the seat of the Wienermobile. Oscar Mayer announced today a contest to let one lucky person/processed meat fan ride shotbun in the massive hot dog for an 8-hour day. They've released a commercial to go along with the terms of the contest, which you can enter with the tag #Tweet2Lease. According to AdAge, the special offer is part of a paid advertisement deal with Motor Trend. 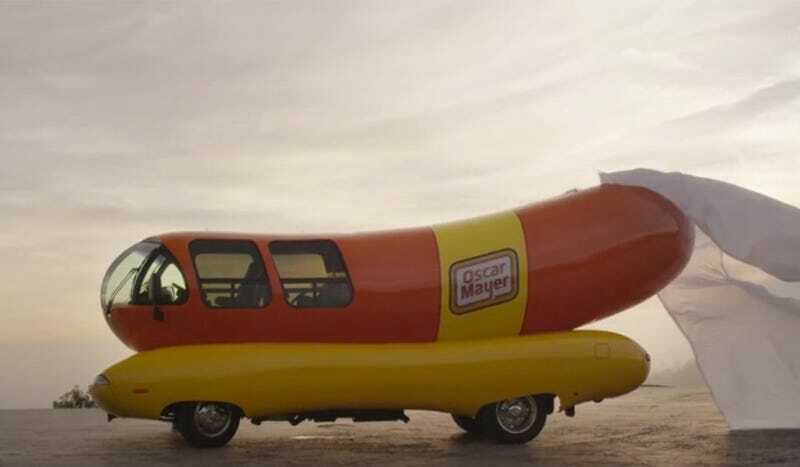 That explains why they tweeted a teaser out on Tuesday that Jason correctly guessed was the Wienermobile. The winner of the "lease" will be chosen February 7. Oh, and yes, the Wienermobile will baby.